Three researchers from the Urban Institute (UI) recently analyzed the new capital standards rule proposed by the Federal Housing Finance Agency (FHFA) for Fannie Mae and Freddie Mac (the GSEs.) The proposed rule includes two alternative leverage ratio proposals. Under the first, the GSEs would be required to hold capital equal to 2.5 percent of total assets and off-balance sheet guarantees, the second, to hold capital equal to 1.5 percent of trust assets and 4 percent of non-trust assets. The second approach differentiates between the greater funding risks of non-trust assets and the lower funding risks of the trust assets while increasing the capital requirements for both relative to the current statutory requirements. On Thursday we summarized their analysis of how well the rule might align risk and capital across the various mortgage attributes. In this second part we look at their evaluation of how the capital requirements vary across the business cycle and the conclusions reached by the UI team. The analysis of mortgage attributes focused on the capital requirement as of 2016, but the UI researchers point out that the housing environment was "benign" at the time, with housing appreciating at an average of 7 percent a year. FHFA and the GSEs won't be able to count on such an environment at every point when a mortgage is purchased. The authors computed the capital requirements based on the housing environment for every year since 2002 and found a range from 2 percent to 6 percent, an average of 3 percent. As illustrated by Figure 1, the changes can be dramatic. The requirement doubled between 2006 and 2008. This obviously makes planning difficult. As an example, the paper provides a scenario that assumes the average capital requirement of 3 percent occurs half the time; bad times (a 6 percent requirement), a quarter of the time, the remaining 25 percent is good times requiring 2 percent. The expected capital requirement over that time frame is 3.5 percent, significantly higher than today's 2 percent. In addition, that 3.5 percent represents only one component of the capital requirement. As explained in Part 1, FHFA's computations include an operational risk and going-concern buffer which, in this scenario, adds another 0.82 percent, bringing the requirement to 4.3 percent. An operational cushion might require the GSEs to operate at around 5 percent if not more. This standard could be lowered a bit with credit risk transfers which grant the GSEs a half percent credit which might increase to 1 percent. But the authors point out these transfers carry a cost in that the GSEs must give up g-fee income. The real issue here is not that the GSEs would have trouble managing capital, particularly if they emerge from conservatorship, but that the capital requirement, to the extent it is reflected in pricing, might be out of sync with need. Figure 1 shows the lowest capital over the time period was required in 2005 and 2006; g-fees would have been the lowest during the run-up to the housing crisis. The authors conclude that the FHFA proposal aligns with capital in many aspects. For certain high-risk mortgages, those with low FICO scores, mortgage insurance, or with layered risk, requirements tend to be too conservative (i.e. high) and could result in unnecessary capital charges. These issues are magnified by the requirements procyclical nature - it will be difficult for the GSEs to manage a requirement that could double in two years, also an issue that hits high risk mortgage more. Doubling from a 1 percent to a 2 percent requirement for a low risk loan is quite different than doubling from 4 to 8 percent for a high risk one. The authors express concern that it would limit credit for potential homebuyers who may be riskier on average but still creditworthy. It might also extend credit at the wrong point in the cycle. The paper speculates that some of the problems foreseen by the authors may be built into FHFA's modeling assumptions. First, they did not include g-fees in the analysis. While ignoring future income is common for regulators because of its uncertainty, g-fees are different because it is an interest-only strip on GSE-owned mortgages. It is unreasonable to assume that 100 percent of mortgages default or prepay immediately so FHFA could include a reasonable estimate of future income. This would disproportionately benefit high-risk mortgages that pay higher fees. "Put another way, if the GSEs are going to implement more granular risk-based pricing" to reflect higher risk, those borrowers "should at least get the benefit of what they are paying for." Second, FHFA did not take into consideration the many post-recession mortgage improvements such as improved appraisals, required income verification, and other aspects of tightened up origination and underwriting. These show up in lower early default rates and are easily tracked. Again, this omission disproportionately penalizes higher risk mortgages. Third, the authors disagree with the flat capital charge levied for prepayment risk. That risk affects not only the debt-funded mortgages in the GSE portfolios but also aspects of the securitization business such as future g-fee income, float and security performance. 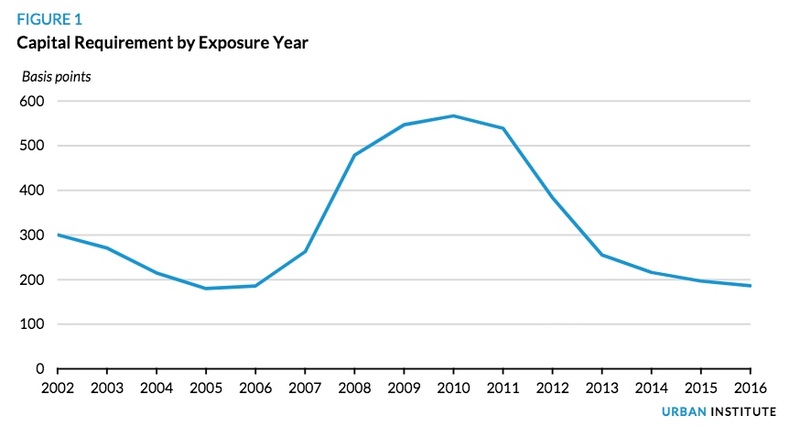 Riskier mortgages are less likely to prepay and thus to create prepayment risk. This means their g-fee income is a longer and more stable cash flow stream. It would be better to modify the proposal to reflect higher capital charges on low credit risks and lower for the riskier ones. Incorporating these three changes into FHFA's calculations would better align capital with risk while meeting the policy objective of providing creditworthy borrowers affordable homeownership opportunities, the authors assert. In addition to better aligning capital with risk, the paper says FHFA should consider ways to reduce the cyclical volatility. As a regulator and conservator, it can use its discretion to alter any of the capital components, but it is not always obvious when that discretion should be employed. Instead, FHFA could set minimums and maximums on the risk-based requirements which could guide capital directives if risk becomes unreasonable. Alternatively, the risk-based requirement as a share of the assets could be a moving average of results over the previous two years. 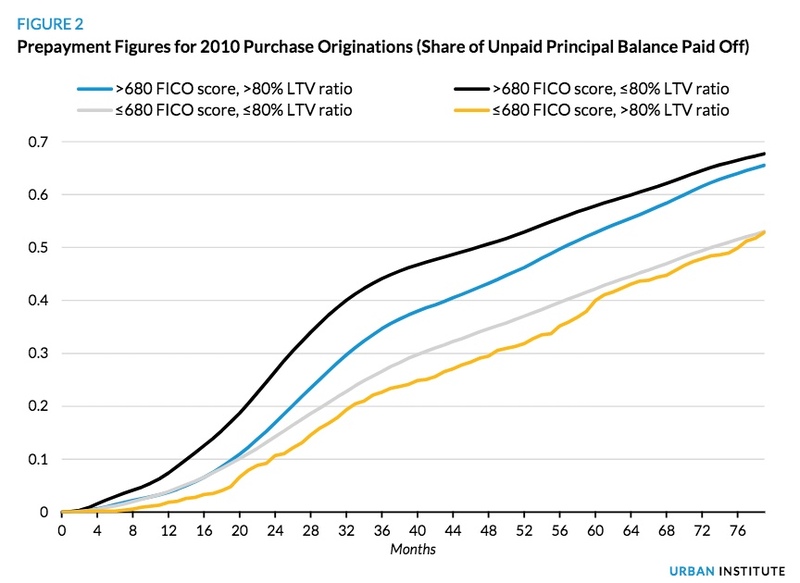 FHFA might also consider relying on the original LTV ratio. "In short, something needs to limit the effects of the standard's cyclical nature while preserving its ability to align capital with risk." The authors conclude, "while the FHFA proposal is a step forward, our analysis suggests improvements could be made to protect taxpayers and promote sustainable homeownership."